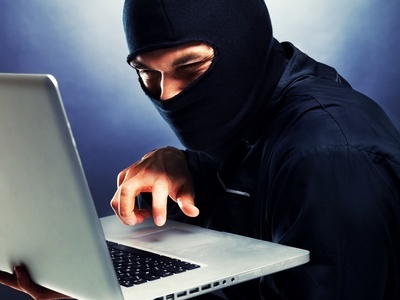 Have you ever experienced having your email account hacked? If you have, you know that it is one of the many hassles of the world wide web. One of the first signs of email hacking is when you random receive a text or a call from a friend saying, “Hey bud, you might want to check out your email account because you said some weird stuff to a bunch of random people.” Another sign that your email was hacked is when you try logging on, you cannot retrieve your messages. An added indication is when you do log in you notice that your entire inbox is empty and all your contacts have been deleted. Now, talk about a hassle! There are other cases wherein the hacker might even do unnecessary and inappropriate damages to your email account such as sending improper messages or photos to your contacts, deleting important emails and finding other personal information to other accounts that you have with other websites. You have to realize that email hacking is quite common nowadays and you have to be on top of the game and know exactly how to protect yourself from this maddening situation from occurring. There are plenty of ways that you could minimize your own risk of having your email(s) hacked. You just have to make sure that you know the tips to keep in mind to stay away from this inconvenience. If you currently just had your email account hacked, what is the next thing that you should do? Read on to find out! Once you realize that your email and other accounts have been hacked into, the next step is to immediately do a password change. One thing to keep in consideration is this time around you should make your password stronger and “strange” so that other people cannot ever guess it randomly.. That means your password should not be your name, birthday, nickname, kid’s names, addresses, maiden names, pet’s names, favorite television shows and other information that is related to you. Remember, the weirder, the better! Try to list down a few that cannot be guessed by even close family members. After you do a password change, do make sure that you write it down somewhere that no one will ever guess it is written and do not make it too obvious as your write it somewhere. If you have several other accounts with the same password, make sure you go ahead and check them out one by one because the hacker could have access to those accounts also. It is quite normal for people to have just one password for all their accounts since it is hard to remember several passwords at a time. But, it is also unsafe and does not give you much security. If you have one password for everything, check those other accounts as well. Try to think about all the websites that you have accounts with. Once you have your list, delete the accounts that are inactive because it does have a higher risk of being hacked. Deleting old accounts could help keep your hacker danger low. Try to find out all the people that you sent random or inappropriate emails to and send them an email saying you are sorry. Nobody likes receiving spam mail especially if they are tactless. Try sending out a mass email if the hacker spammed many of your contacts just to let them know it was not you. See, the tips are simple and easy to follow. In addition to that, it will give you more safety and security to your email accounts, as well as other personal accounts that you may have. Be wise about your password(s) so that no one could hack it and invade your privacy. This article is contributed by Mr. Kevin Shahbazi, co-founded Trust Digital, which became a leader in the password security and encryption market for the mobile enterprise. He is an experienced industry executive with over 27 years of proven leadership in business management and technology. If you would like to write for us, join Cyber World Community. These are some very beginner friendly and easily actionable tips for what to do after your email address is hacked and I’m very confident people will get a lot of helpful information to move forward with things if their email addresses and / or clients end up getting hacked by hackers. Thanks Kevin!